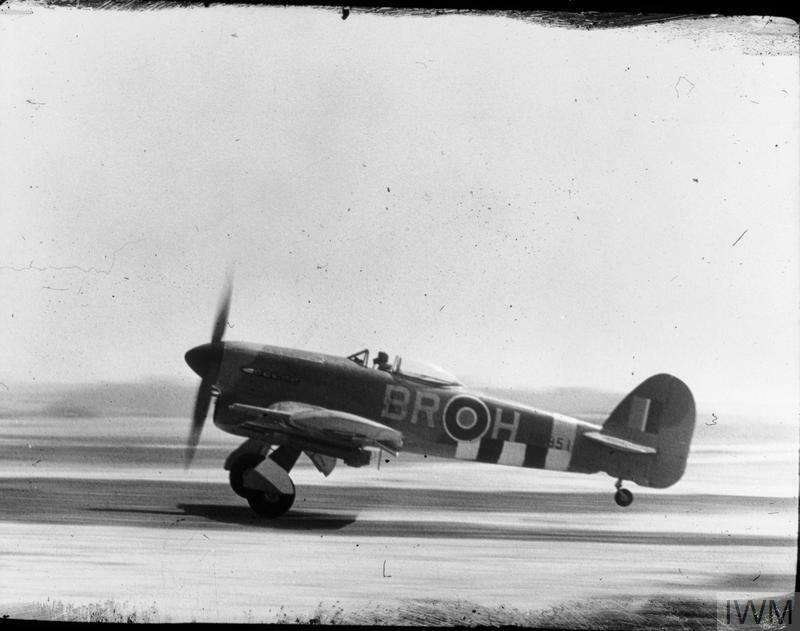 Flight Sergeant J S Fraser-Petherbridge of No. 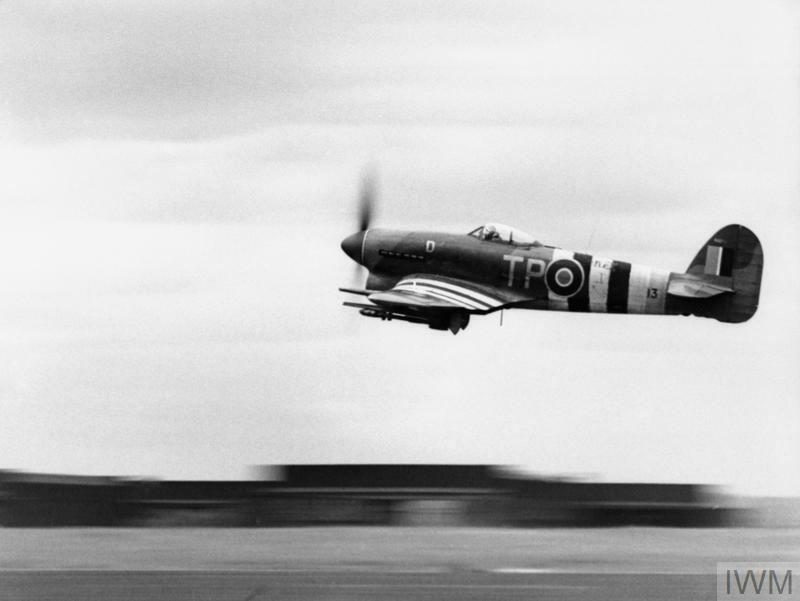 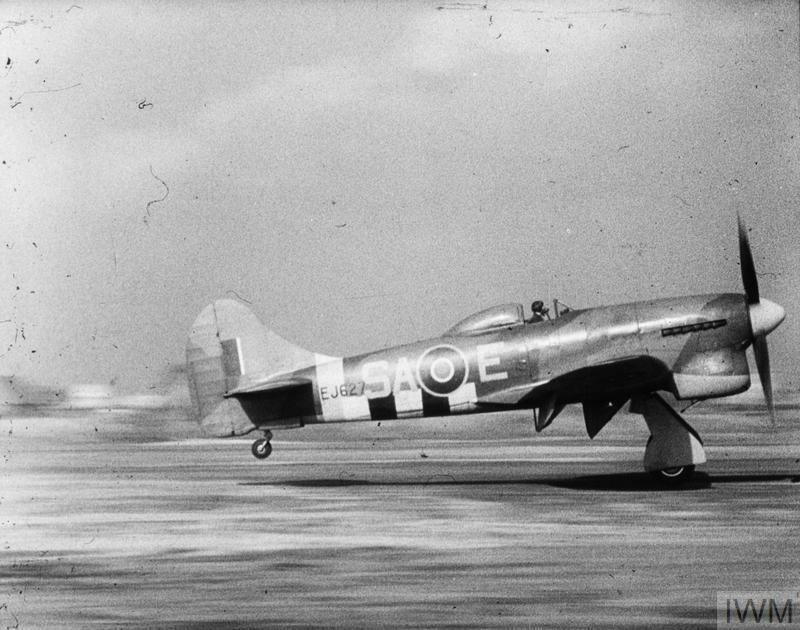 198 Squadron RAF takes off from Thorney Island, Hampshire, in Hawker Typhoon Mark IB, MN293 'TP-D on a sortie over the Normandy beachhead to search for enemy transport. 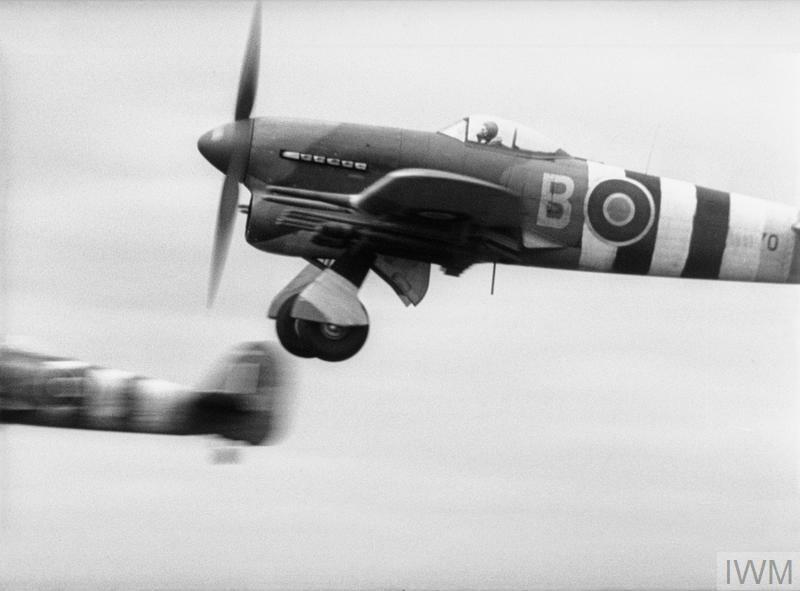 His was one of eight Typhoons led by Wing Commander R E P Brooker, which attacked and destroyed several German armoured vehicles on the Caen-Falaise road.